This article is produced in partnership with IO. Social media use now accounts for more than a quarter of time spent online, leaving news publishers in fierce competition with other content providers for the remaining attention of internet users. For online news publishers, increasing user volumes and time spent on their sites is vital. But readers are becoming more selective – so, how do publishers ensure audiences keep coming back? Through working with more than 300 news brands, editorial analysts at IO developed a series of eight user-friendly dashboards to help editorial departments manage and enhance their content performance. This article will outline how the technology helps news businesses and look at three specific examples from CN Group in the UK, global new tech firm Genesis Media, and Forbes’ European operation. “Our research shows if a reader spends more than 60 seconds on a site, or reads two articles, the likelihood of a subsequent visit increases by 50 per cent,” says Aleksandr Krutko, head of analytics with IO. 1. This shows the article has received 10,000 page views and is one of the day’s leading pieces and is performing well. The average time on page, however, is two minutes and 20 seconds (highlighted in red), meaning the article is not always read to the end. This tells the editor the text might need to be reviewed to prevent a drop off in readers. 2. The number 20 indicates social interactions with this article are low compared to the next article. The editor has been alerted that the way it has been published to the site or on partners’ pages might need to change. 3. The 65 per cent figure indicates the number who read to the end, and the 61 per cent figure shows that recirculation is good for this piece. As these numbers are good, the editor knows to focus on encouraging more readers to get to the end of the article, as well as getting it to perform better on social. 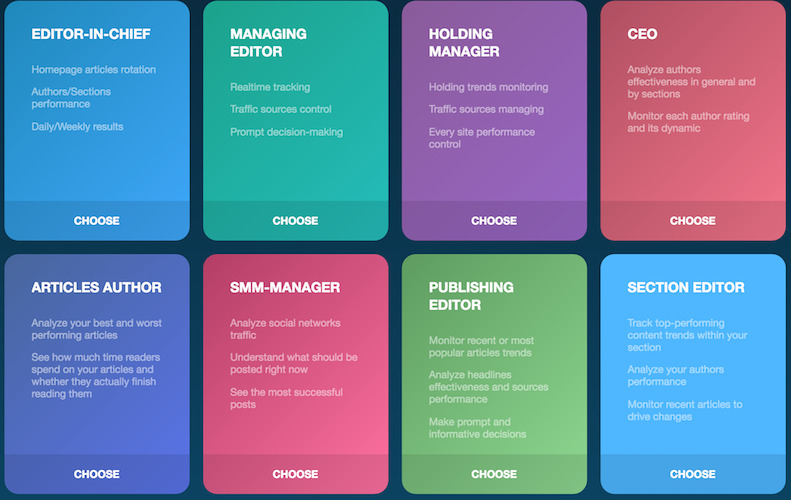 Gathering feedback from more than 100 editorial departments enabled IO to develop different dashboards for different newsroom roles through relaying simple but necessary real-time stats to editors, managers, authors, and executives. “Monitoring read-through rate, social, the performance of different editorial teams can be time-consuming and you might even need another analytics specialist to join your team,” said Krutko. “There are also elements unique to individual editorial roles that would be useful to measure against, things like KPIs for authors or social media strategic goals. In the last two years, we have developed a specialist-role technology to perform all these tasks within our dashboards. 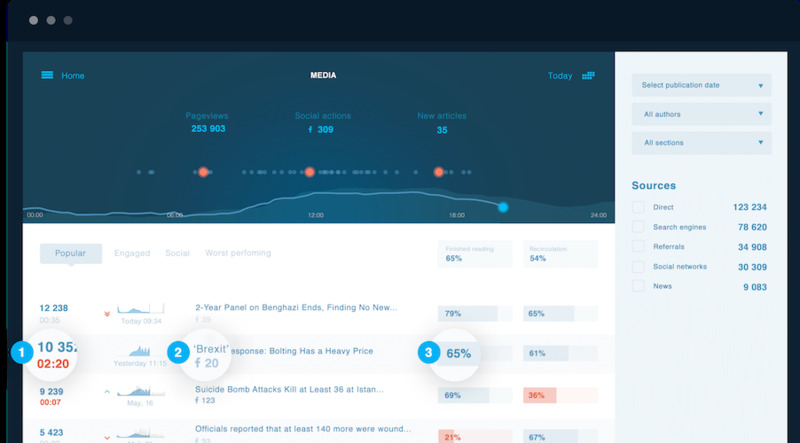 “The role-specific dashboards provide necessary data that news teams can use immediately. For instance, editors can alter titles, images, reduce the text length or split a piece in two or edit the parts where users stop reading. UK-based news publisher CN Group has driven up its recirculation rate (the number of users who go on to read further articles) up from around 21 per cent to 40 per cent for its News & Star title. Ian Brogden, online editor, said: “Aggregated real-time stats also allow us to make informed decisions about when to stick and when to change content. We were guessing before, now we have something concrete to work with. Genesis Media is a media products business that helps bring 75 million unique visitors and 500 million visits to the projects it works on each month. Its decisions are based on numbers rather than intuition, and it empowers editors to use analytics to make decisions, conduct A/B-tests for header text and articles, and then analyse the results. 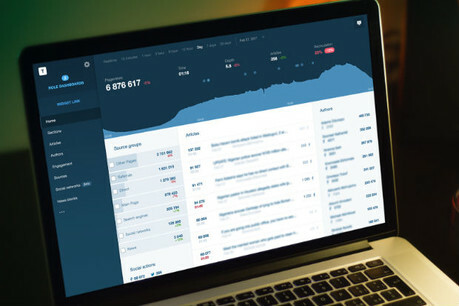 “In fact, our typical editor is involved in analytics a bit, and should realise clearly what actions lead to positive results”, says Vitaly Laptenok, CEO and co-founder of Genesis Media. A way to extend recirculation is to offer users a "next great read". This functionality can be embedded in the text of an article or just sit at the bottom of a page. Using this approach, IO helped the Forbes European website to automatically recommend an article to read next, based on those pieces of content that were popular amongst readers with similar interests. This simple enhancement improved average visit depth by 20 per cent. With digital services across retail, banking, and other sectors reliant on analytical information, it would be an anomaly if the media didn’t follow suit. Increasingly, however, news publishers are finding that the strategic deployment of analytical information into their editorial teams can help improve decision-making and enhance the quality of the overall product.